Shardlow Marina Holiday Home site is a very popular place to have a Park Home, Luxury Lodge, Static Caravan or Mobile Home. As such the demand for empty plots is quite high and there is often a waiting list. Having said that, there are many reasons why people do not want to go on a particular plot when it becomes available and they decide to wait for a plot in a particular area. This page is where we place any available plots. A non-refundable deposit will be required to hold a plot for up to 3 months. There is a wide choice of home manufacturers these days and a wide choice of finishes and build quality too. When choosing a new home be aware that they also have an ever increasing waiting list. This can be as long as 18 months if you were to want a bespoke version for example. To this end, and with a view to reducing the time it takes to have a new home on site, we sometimes purchase a brand new home and place it on an available plot and this page is where you will find any of those that we have for sale. They don't hang around for long though so if you see one, contact our office immediately. 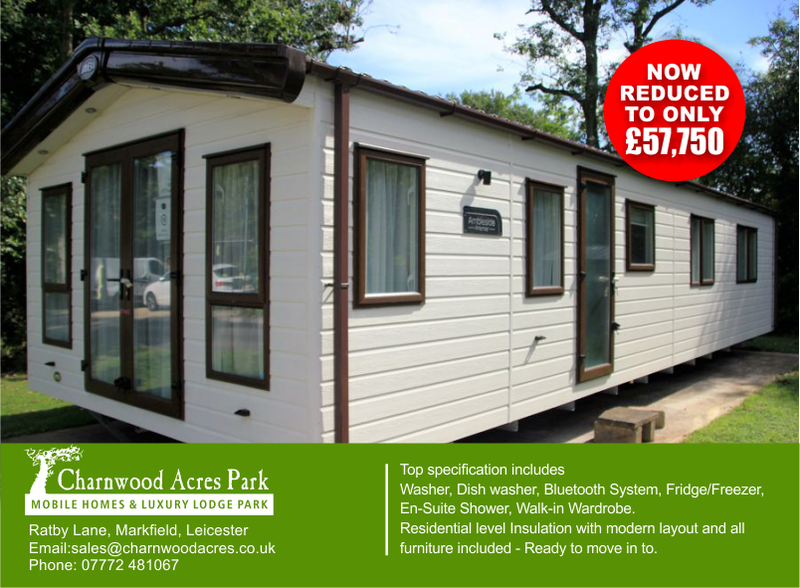 On our sister-park at Charnwood Acres, which is situated on Ratby Lane, Markfield in Leicestershire. SOLD * SOLD * SOLD - BUT ASK US ABOUT SIMILAR HOMES WE CAN GET! 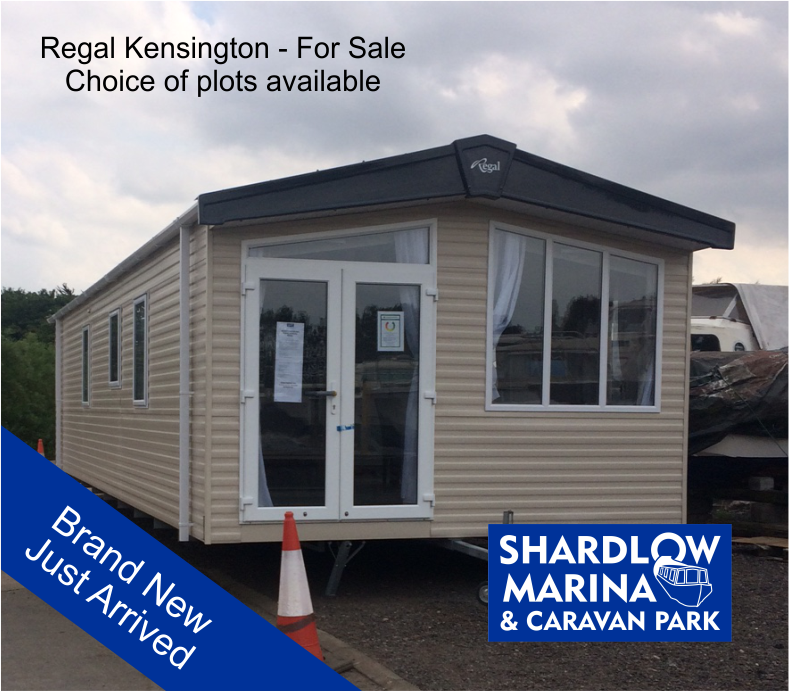 Built by Regal, this "Kensington" is a great value 2 bedroomed mobile home. It is not yet sited so early purchasers will have a choice of plots! It is fully furnished to a good level and once connected to our services will be ready to move in to within a day or two. The Master bedroom has a double bed and an En-suite shower room. The second bedroom contains two single beds. The property has the benefit of full LPG gas central heating. The Electricity and Gas are supplied via a meter, so no carrying Gas Bottles around!